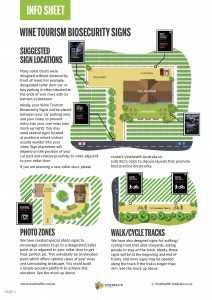 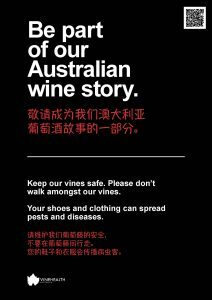 Vinehealth Australia has designed a suite of biosecurity signs for consumer-facing purposes such as cellar doors and cycling/walking tracks. 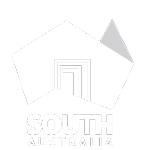 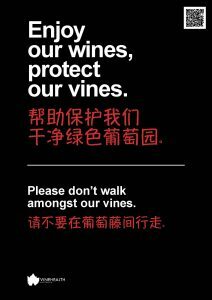 We have developed these signs in consultation with regional wine associations and Primary Industries and Regions South Australia (PIRSA). 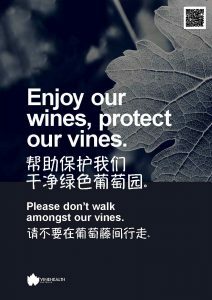 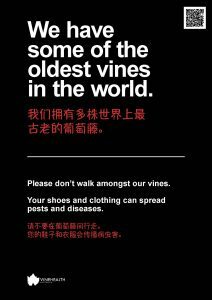 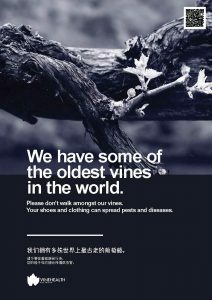 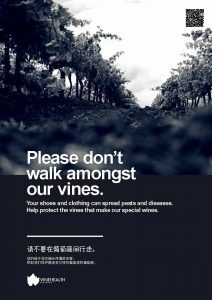 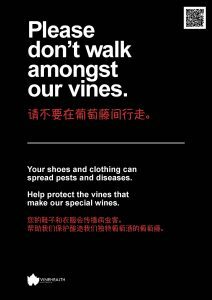 The signs include English and Mandarin messages that aim to build a partnership with visitors around vine health and protection. 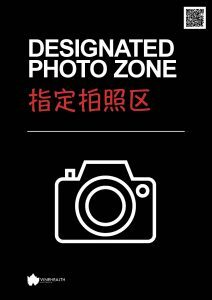 At an additional cost, private business logos can be added. 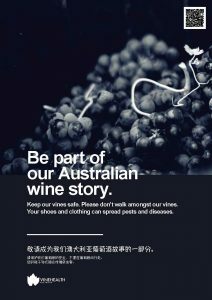 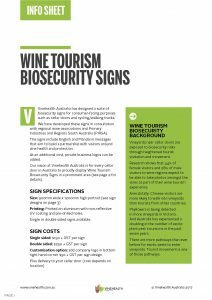 Our vision at Vinehealth Australia is for every cellar door in Australia to proudly display wine tourism biosecurity signs in a prominent area.